during a downtrend which is an important bottom reversal signal and a implies a comeback by bull. 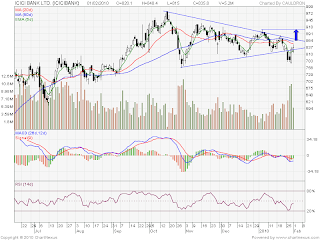 It signifies that the downtrend is now losing momentum and the bulls started to take the lead. Resistance for the scrip is at 887-908-978 and support is at 778-757-721.
line would be invalid when its crosses back above trend line within 3 trading days.